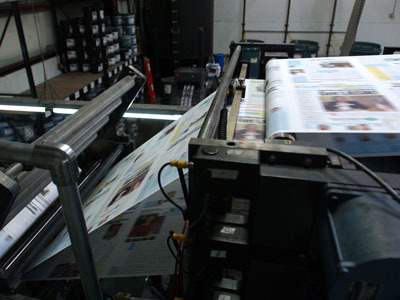 I am a printing broker and my clients have a wide range of needs. For web printing performance, I have found Web Offset to be the best source. I have used their services for more than five years and have always been pleased with the combination of excellent quality, very competitive pricing and customer service that exceeds my very demanding expectations. Their staff from ownership on down is professional, experienced and concerned with producing the very best product and serving the needs of myself and my clients. In this day and age of some giant corporate companies, it is a pleasure to deal with a family run, closely held company, that truly makes you feel welcomed & appreciated." -Shell J. Our presses feature automatic registration control, improving and maintaining registration accuracy. Ink density presets are generated from customer files, allowing us to pre-configure ink keys. Quality copies come off the press sooner, reducing startup time and waste, which help keep prices down. Weekly Newspapers – why Web Offset is an easy choice. Weekly Products – how we make it easy for you.